This Champion Power Equipment 46533 review will hopefully educate a consumer about what to look for in a portable generator and how the Champion product will benefit a user. When the power goes out, it will be essential to have a dependable source of electricity at hand. It is essential to find a generator which will be able to run multiple appliances and power tools. A convenient generator will be easy to move around the home or job site. This unit is s sturdy piece of equipment that is housed in a cast iron sleeve. It will keep the power flowing especially in places of the country where storms often strike. It will also be a contractor’s best friend when power tools are necessary, but outlets are sparse. An RV trip will not be complete without a generator like this as well. Before making a purchase, it is important to get a closer look at the features that it offers. Here is a better explanation of all that the Champion 46533 can offer. 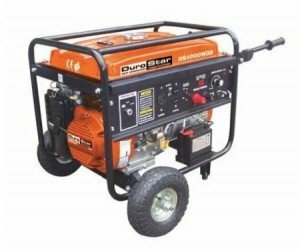 This DuroStar DS4000WGE review is meant to explain the importance of owning a portable generator. This unit will be perfect for people who own a farm or ranch. This unit can supply power where electricity is not available. It works well at homes during a power outage along with a job site where power tools are necessary. 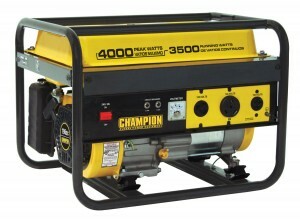 This generator is durable and capable of supplying a nice amount of power. A bonus is that it doubles as an arc welder. There are numerous things to consider before buying a generator. A person must understand individual needs before making a final purchase. Here is an in depth look at the benefits of purchasing this piece of equipment. When comparing the Champion Power Equipment 46539 vs. DuroStar DS4000S, it is important to consider a few items. If a person is in the market for a potable generator, there are a few features that must be examined. For example, it is essential to find a unit that is dependable and functional in times of emergency. A camper will want to find a unit that runs essential outdoor or RV equipment. A construction worker will want a durable generator to take on the job site for working power tools. It is vital to comprehend wattage, fuel tank size, and other features. Here is a comparison of these two similar portable generators. This WEN 56352 review will be able to explain the many features of this portable generator which is manufactured with customers in mind. It is a reliable source of power when the electricity becomes disrupted and is also an excellent machine for RV travel or job site backup. When necessity dictates a source of power, this generator will be able to get the job done, no matter the location. 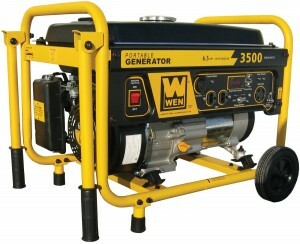 This WEN generator is excellent to travel with since it is very lightweight and comes with a wheel kit. It is an exceptional value with an affordable price tag. It is heavy duty steel construction which will help a home get through a power outage, a family travel prepared for a camping trip, or at a job that requires power tools. Here is a closer look at the many benefits that this generator offers and the reasons that it one of the top selling generators on the market. 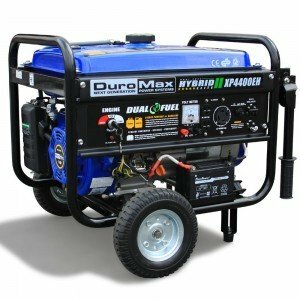 This DuroMax Elite MX4500E review is meant to explain the benefits of owning a generator when a source of electricity is needed. The DuroMax Elite MX4500E is a superb portable generator that will be able to supply all electrical needs during a storm or on the road at a job site or campsite. It is always wise to be prepared for times when the power fails. It is a contained unit that is made from quality materials. This portable generator is made with a sturdy frame that contains a detachable roll cage which adds protection and makes it simple to use while on the go. DuroMax always produces high quality products that rarely disappoint. It places high regard on customer satisfaction. Here is a closer look at the benefits of this unit and the reason why it will be a smart investment. 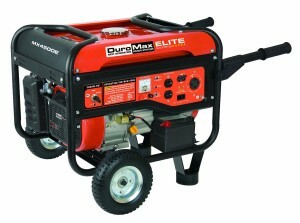 This DuroMax XP4400EH review is meant to explain the benefits and features of this portable generator. A generator is an essential machine to own when a backup source of electricity is necessary. When the power fails or outlets are not available, this unit will go to work and supply electricity for small appliances, power tools, and other necessary devices. 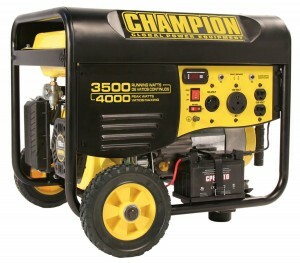 This particular generator is durable and compact. It includes a wheel kit which makes it easy to bring on camping trips, use while traveling in an RV, going to a job site, or just moving from place to place around the house. There are certain features to compare among products before making a final purchase. Here is a closer examination of this DuroMax generator.